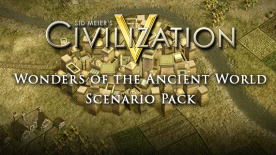 Please note that is product is an expansion and requires Sid Meier's Civilization® V in order to run. © 1991-2012 Take-Two Interactive Software and its subsidiaries. Sid Meier’s Civilization V, Civ, Civilization, 2K Games, Firaxis Games, Take-Two Interactive Software and their respective logos are all trademarks of Take-Two interactive Software, Inc. The ratings icon is a trademark of the Entertainment Software Association. All rights reserved.